This is a discussion on Tried some rental guns today within the The Lounge forums, part of the Member's Area category! I actually got off work at a decent time today and decided to stop by the range. I wanted to see if they had an M&P 380 for my wife to try later. I was also thinking about trying a CM9 again to upgrade my pocket gun. They sold their CM9 and don't currently have an M&P 380 but are supposed to be getting one shortly. While I was there I shot the little Taurus 738 that I pocket carry at work and tried a few of their rental guns. I started with a shield 2.0 in 9mm. It is definitely an upgrade over the original and the trigger is considerably better. I really liked it. After trying a few others, I shot a Sig P365. It is a double stack 9mm that is not much bigger than my little 380. It is much smaller than the shield and easily small enough for pocket carry yet feels larger in the hand than it actually is and shoots like a much larger gun. I was highly impressed and definitely need to get one. This thing will make a fantastic carry gun. The P365 sounds a lot like the Taurus PT111/PT140 G2. 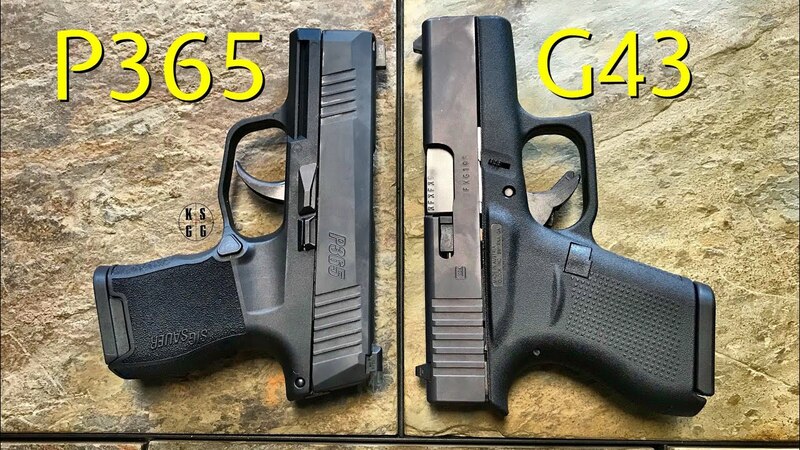 Both of those are very concealable and still pack a 10+1 (140) 12+1 (111) capacity. I saw that the price on the Sig is $499. I bought my PT140 for $200. So if you haven't tried the Taurus, give one a try. They are getting very good reviews. Next time I'm in my local gun store, I'll have to see how the Sig feels. Thanks for the evaluation and the feedback! Well, after waiting about as long as I can stand and getting some new gun funds for Christmas, I pulled the trigger on a new P365 and one of the 12 round mags to try out. Now, I just have to wait for it to be delivered to a local ffl. Time will slow to a crawl. The clock says it has only been 24 hours but by my count, it has already been about 3 weeks. I found this image with an LCP that really highlights just how small the gun is.